In the early hours of Saturday, a 50-year-old Venezuelan woman was found in the town of Val do Dubra after being kidnapped and raped by unidentified assailants. The pilgrim was making the Camino de Santiago in the opposite direction, from Finisterre to Santiago de Compostela (where she had been summoned with relatives) when, having traveled between 15 and 20 km, she was assaulted and forcibly entered in a car by two assailants. The vehicle traveled a distance that is still determined by the Civil Guard and after allegedly violating the assailants to the pilgrim (as reported by the victim), left without clothes in a field, despite the low temperatures resulting from the cold wave of these days. The victim came walking disoriented to a house in Val do Dubra to ask for help late at night, after which it was attended by neighbors, who alerted the authorities. In these moments the Spanish Police is investigating the facts, analyzing the declarations and the data of the forensic, although still "nothing is clear" according to assure the authorities. 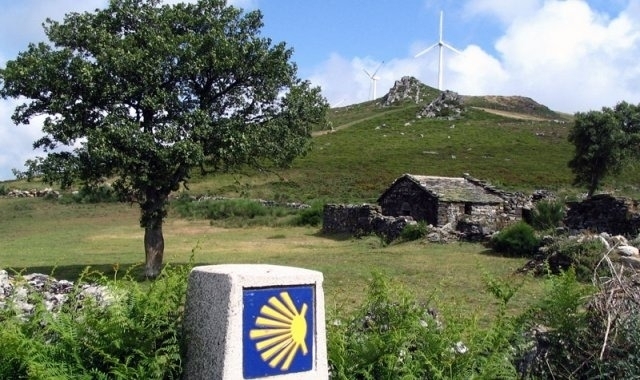 For its part, the pilgrim is in psychiatric treatment, said Sunday the government delegate in Galicia, Santiago Villanueva, who stressed that despite incidents such as this Venezuelan pilgrim, crime on the Camino de Santiago is "practically insignificant". Cada día hay mas seres inhumanos en el mundo. Da igual donde vayas, te puedes cruzar con un engendro y arruinarte la vida en un momento. Lo único que se le puede desear a este tipo de gente es que el tiempo les devuelva lo dado multiplicado. Yo lo hice sola, dos veces. Ningún problema. En el camino conoces gente. Igual es imporante tomar precauciones. Suerte.